Guest post by The Husband, written yesterday. 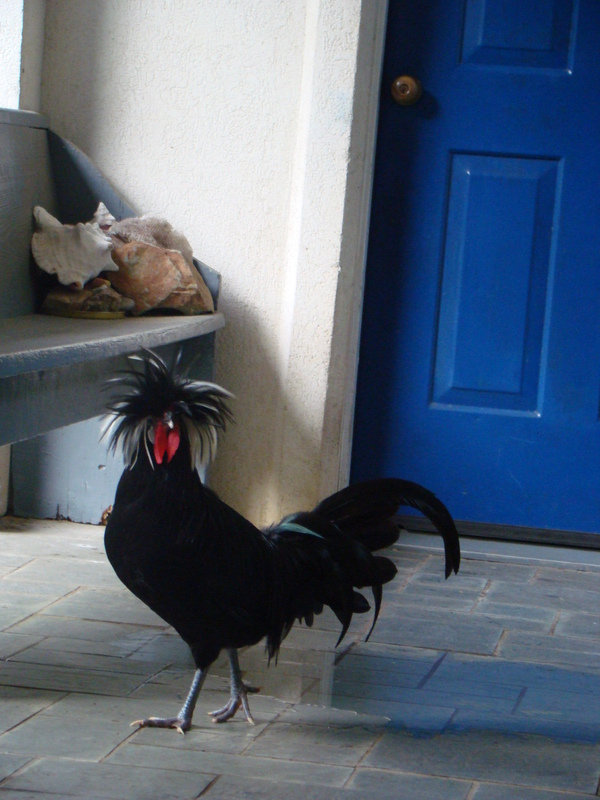 So we have a rooster that we are trying to give away. He attacked the 3yo and has “jumped” at all of us. We put a classified ad in a chat list for a free rooster. He had one week, and if nobody claimed him, he would be soup. 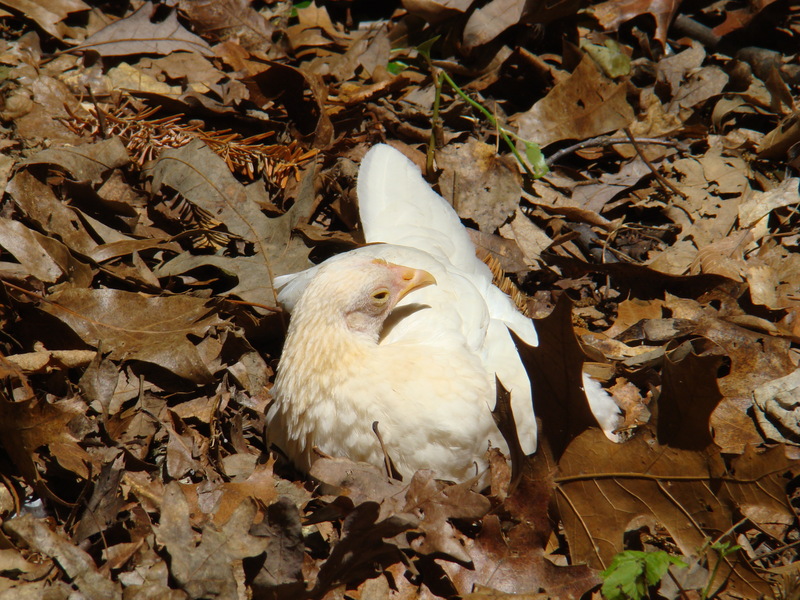 Tonight a hawk attacked our sweetest little bantam. 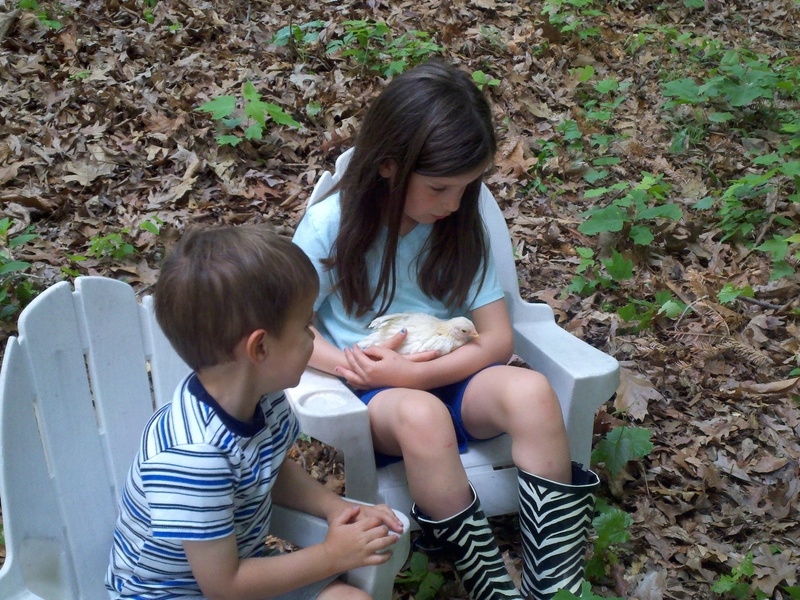 She is the kid’s favorite bird and they named her Angel because she is pure white. 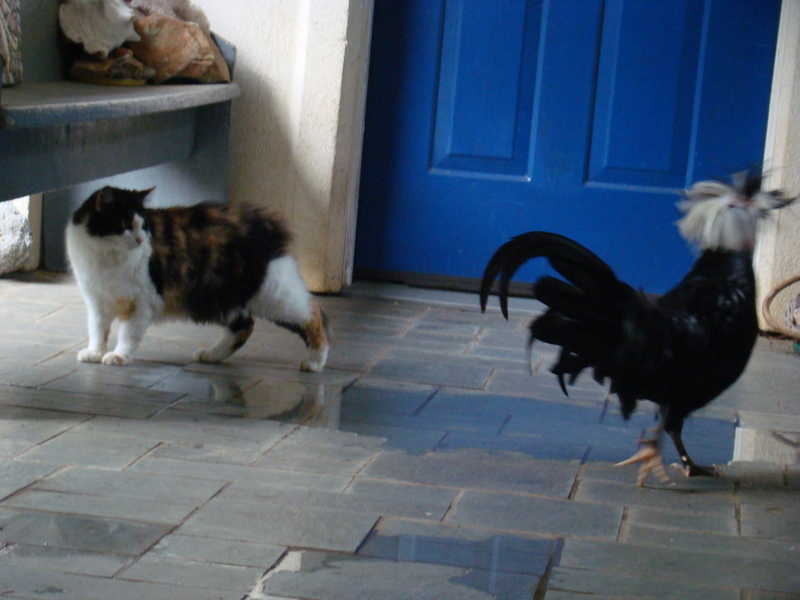 As she flew to get away with a hawk digging its talons in, feathers flying, the rooster ran and attacked the hawk. The hawk flew away and Angel was saved. 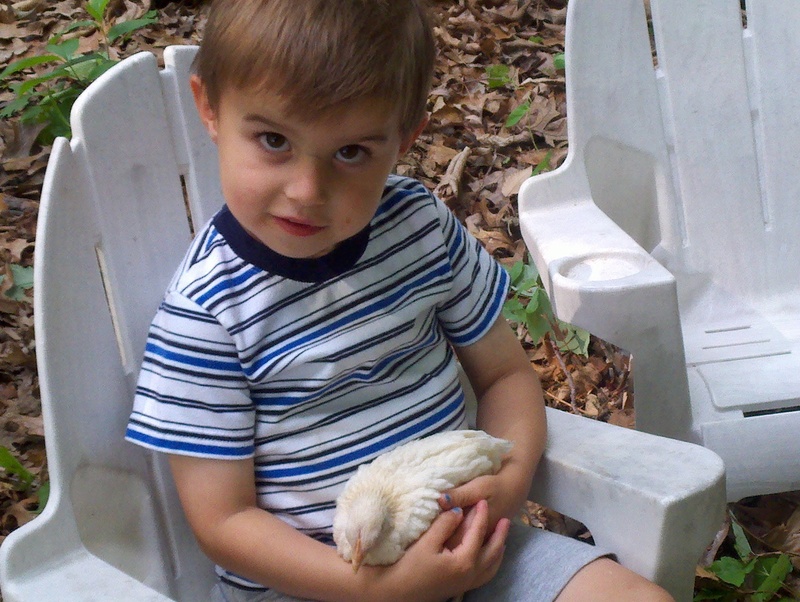 As chicken governor, I am commuting his death sentence. The classified shall be withdrawn. So let it be written. So let it be done. 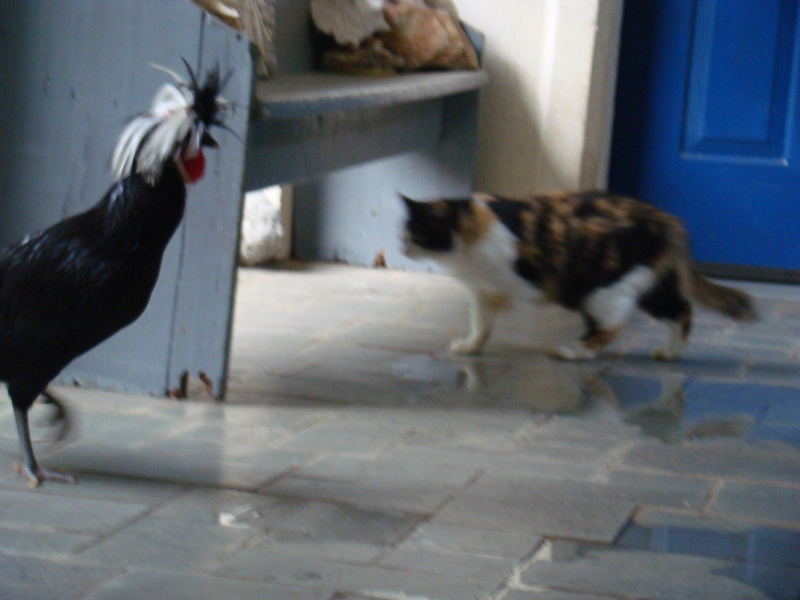 Now you know what roosters do and why they are so feisty…I’ve always thought a little feisty is good! So I got to hear this story from a child and she tells it much better considering the shocked look on your faces and the immediate leap outside to congratulate that mean-a** rooster. I’m glad for Angel that he got the commute but keep those bats handy!! I must say he sure is a rockin chicken. How cool is that do?